This week’s food inspiration: fresh, mostly local – Odds & Hens : Ramblings. Creations. My garden is not going gangbusters but I am enjoying a new CSA we are trying this summer, Growing Washington. Having so many colors and options to play with makes the peak of summer a great time to prepare food. Mixed in you might also find ways to integrate food from the larder to make way for future bounty, meat from a local farmer or, of course, a shopping trip to local Costco or grocery store (probably delivered, because I would rather be playing, or you know #life). I am not going to put on airs, just know that I vote with my dollar, taste buds and I like to snap pictures of my food. And eat out too. Ok, I like to eat good food. Blanch the beans, trim the ends and slice into 1/2 inch segments or so. Slice the cherry tomatoes. Finely chop a clove garlic and basil. Toss ingredients together, dress lightly with a little olive oil, salt and pepper. Don’t fret too much about quantities, I used about 1 lb beans. Here is the link to the recipe. I added some chopped up extra peppery arugula for a kick and at least trippled the quantity. Wash, scrub the potatoes and cut them in half or quarter. Put them in pot or pressure cooker and cover with water by an inch. In pressure cooker, bring to 15 PSI for 6 minutes and quick release. Drain potatoes and let them sit in colander. Add oil to pot, turn on heat, add garlic for a minute and then herbs until aromatic, just minutes. Add the potatoes back in, turn off heat and smash with wooden spoon etc. Mix in yogurt (or milk) to help make potatoes a little more creamy, add salt and pepper to taste, top with butter. Add oil, onions, garlic and tat soi. Stir fry on high heat. About half way through wilting, add oyster sauce, about 1 tablespoon and continue stirring until all cooked. Salt and pepper, chili flakes or sauce to taste. Roast Chicken – from Windy N Ranch in Ellensburg, done in my favorite way. This chicken and many scraps then became stock in the pressure cooker! Ahh, pie…… Rhubarb from my garden, blueberries from CSA and Asian pears from the yard, frozen last fall. I was more busy than usual in the kitchen over the weekend, prepping some treats for the freezer, friends and a hungry toddler that needs to not know about all the places the veggies hide. 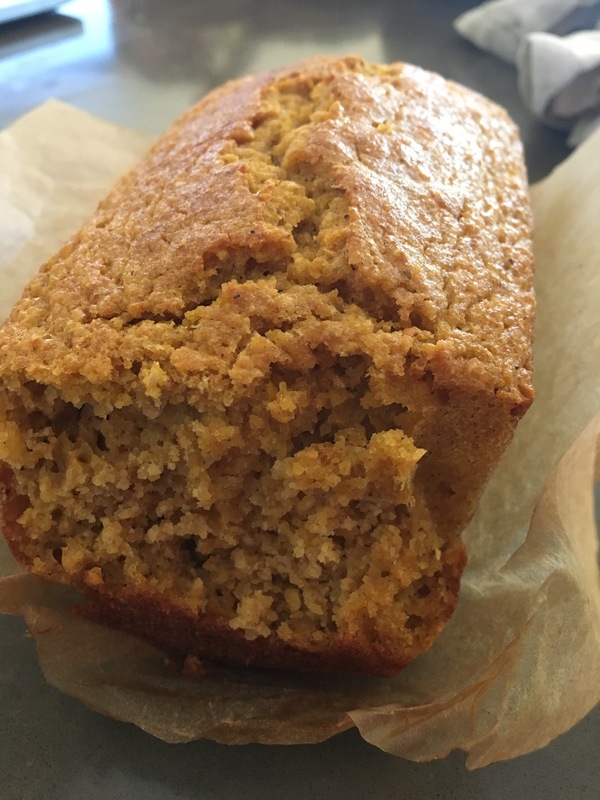 Butternut squash cornbread: refined sugar free! used up some organic frozen squash (sneaky veggie!) and yes really 2 T baking powder (use aluminum free). This was amazingly soft yet still cornbread-y… next time i might pop in some curry powder instead of nutmeg and ginger. Carrot Parsnip Oatmeal Muffins (based off this recipe), sweetened with pure maple syrup. Great for toddlers (sneaky veggies). I added raisins and some random dried chopped apricots along with grated parsnip and carrots. They do stick to the papers more than usual. I doubled and froze. Someone helped me mix them up too. Stirred in his own veggies! Please share your favorite ways to hide veggies!